Numerous members of Plymouth Argaum have been trained by the RFU in safeguarding courtesy of the 'Play It Safe' course. These include the 'Executive Committee', Chairman Nick Hancock, Secretary Stuart Quarterman & President Steve 'Barney' Barnes. Plymouth Argaum have two appointed Safeguarding officers. Ian Taylor is the clubs lead Children's Safeguarding Officer and Rebecca 'Bekah' Kat is the Assistant Children's Safeguarding Officer. 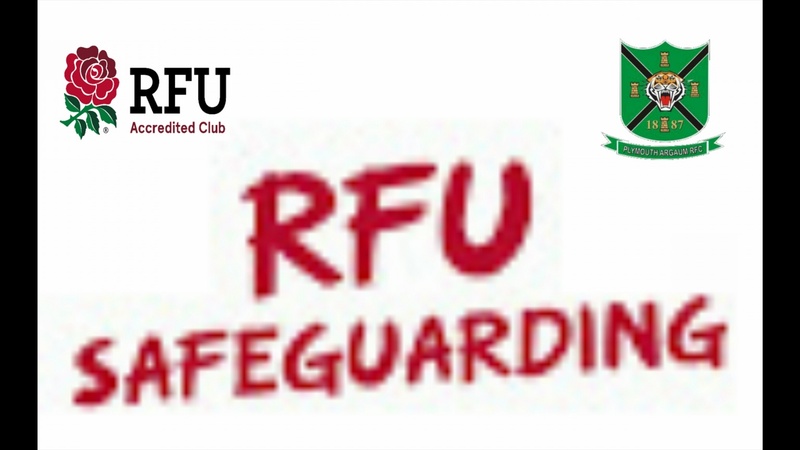 All committee members and coaches have received safeguarding training from the RFU by going on the 'Play It Safe' course. We aim to have all Executive Committee members and at least one member of each age group trained up to the RFU's 'In Touch' standard.